Lord Karl von Bernerholdt, the lead character of my Swiss Mix stories. Drawn freehand with Manga Studio 5 and a Wacom Bamboo tablet. 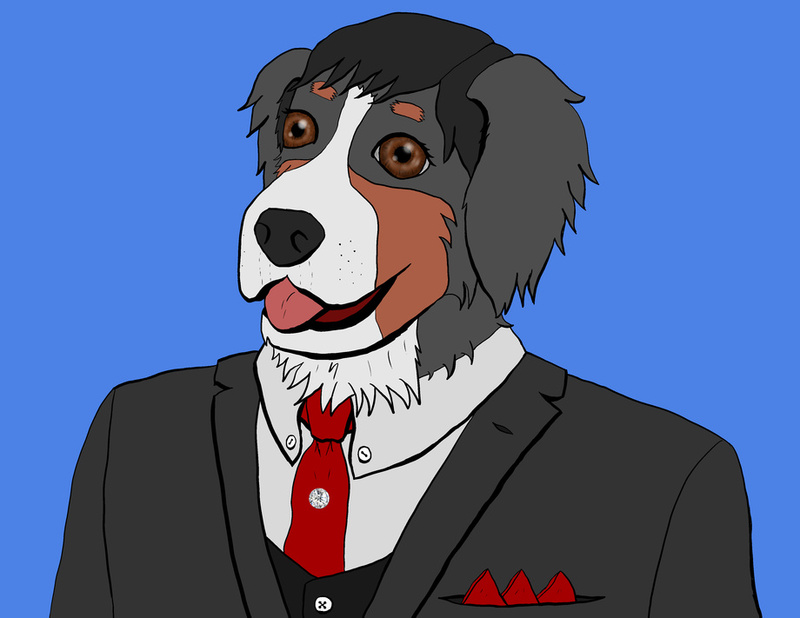 I'll be working with this some more, to add shading and texture detailing, as the base reference picture for Lord Karl. Yeah, I think that without the shading and highlights, it does make the eyes look rather dead. Hopefully the next stage will improve that. The eyes should look much better now. I did the shading and highlights on them. Possibly because I used a very animal-like eye, with virtually no white showing? The eyes look kind of... off. Just... off.